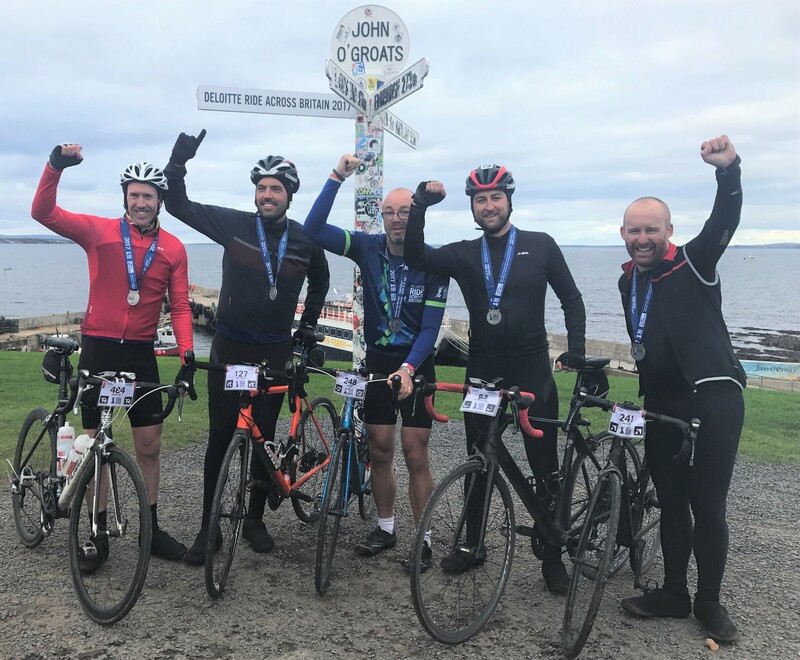 bandv’s MD Ross Breckenridge has helped to raise a whopping £47,000 for the Kick4Life charity by taking on Deloitte’s Ride Across Britain Cycling Challenge. Back in September, Ross joined a team of dedicated fundraisers to raise money for Kick4Life who support vulnerable young people in Lesotho through a wide range of social development activities focused on health, education and support towards sustainable livelihoods, and the final fundraising total has now been calculated. 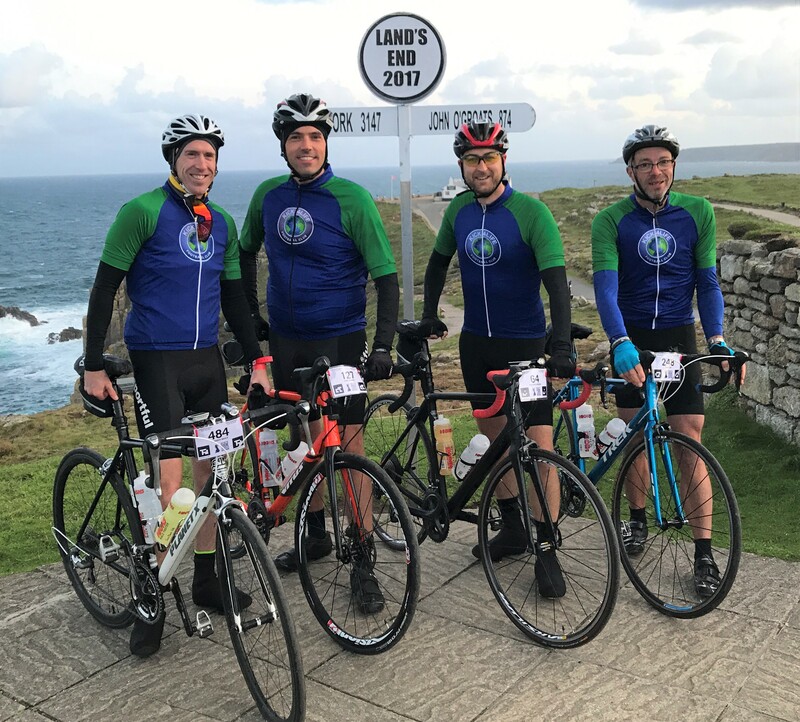 Described as the most challenging yet memorable LEJOG experience available, the gruelling 9-day challenge involved cycling from Land’s End to John O’ Groats, covering a total distance of 969 miles; setting off from the coves of Cornwall and finishing at the lochs and mountains of Scotland. In the lead up to the cycling challenge, Ross stepped up his fundraising efforts by organising a charity race night as well as a grand prize draw, raising a staggering total of £4,640; an outstanding contribution towards the final fundraising total! Every penny raised will be used to make a real difference to the lives of children in Lesotho and money from the fundraising has already been used to create a series of positive changes. It has paid for over 500 young people to be tested for HIV and will pay for ongoing medical treatment and support for those who tested positive. Education will also be vastly improved with over 3000 girls now receiving vital education in health, life-skills, gender rights and financial literacy. The remaining funds will also pay for two social enterprise trainees to be provided with structured training towards gaining full-time employment and for the support and education of two Kick4Life Academy scholars. A contribution from the fundraising pot has also been allocated to the campaign to restore the hearing of two young boys in the Kick4Life Academy. Kick4Life is a charity extremely close to Ross’s heart (having previously taken part in a football tour organised with Kick4Life and the Saint’s Foundation), where Ross got to travel to Lesotho and see for himself first-hand the great work that that charity undertakes and the difference it makes to communities. “I feel proud to say that Land’s End to John O'Groats is one challenge I can now tick off my bucket list! It’s an incredible challenge and one that I would highly recommend to anyone. The feeling of elation at completing the 969-mile ride though is nothing compared to knowing that the money we raised has made a direct, positive impact on the lives of so many young people in Lesotho.